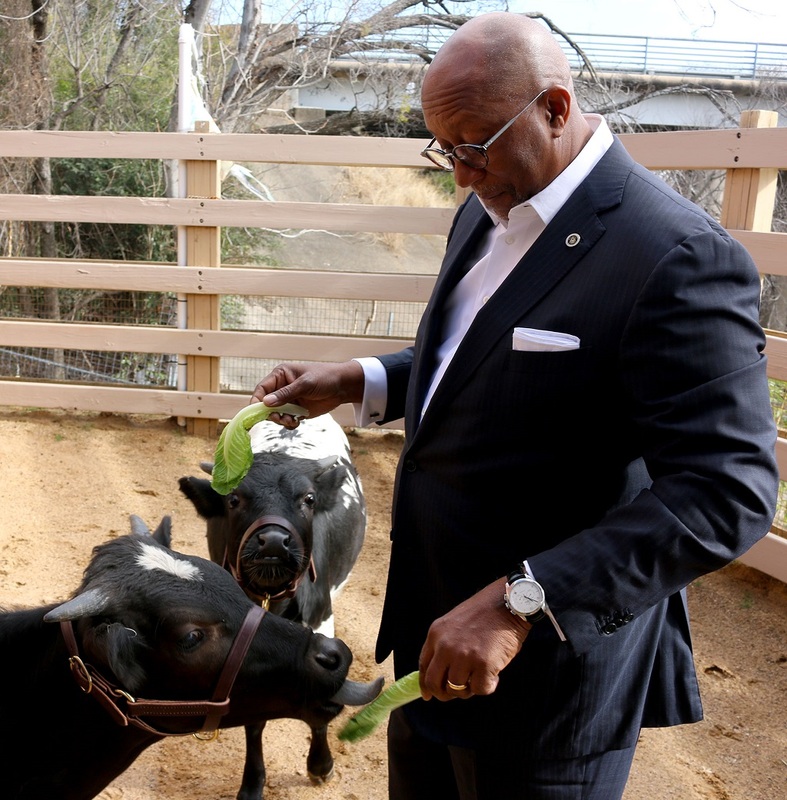 Pint-sized Texas Longhorns delighting Children’s Zoo guests | Dallas ZooHoo! It may not be the Starship Enterprise, but the Lacerte Family Children’s Zoo is the perfect home for the newest animal additions: Captain and Kirk. These two miniature Texas longhorns are settling in nicely to their home and guests couldn’t be happier. Miniature longhorns are a relatively new breed and came about through selective breeding of full-sized longhorns. 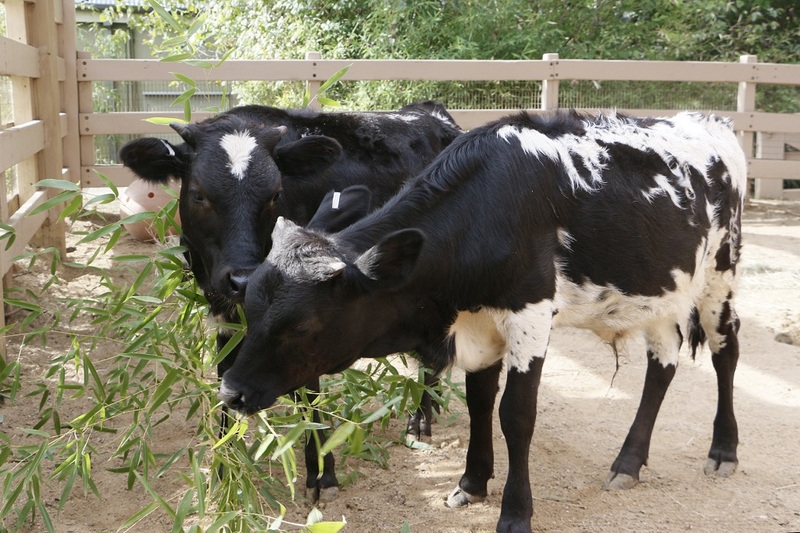 These smaller longhorns are gentle and docile, making them the perfect addition to the Children’s Zoo. The minis joined us in November, but until just recently were nameless as they integrated into the Children’s Zoo and began working with keepers. Former U.S. Trade Representative and former Dallas Mayor Ron Kirk remedied that situation. Kirk, a former Zoo board member and long-time supporter, won the naming rights to the longhorns at the Zoo To Do gala late last year. Kirk enlisted his daughters to help name the calves. And he admits he’s never seen an episode of Star Trek. The minis are eight months old and weigh 200-250 pounds. Fully grown, they’ll weight 400-500 pounds and stand up to four feet tall. For now, their signature horns are more like stubs, but over the next two years they’ll grow and have similar proportions to their full-size longhorn brethren. Guests can see Captain (he’s the larger of the two with mostly black hair) and Kirk at the Children’s Zoo red barn. Those that want an up-close encounter with Captain and Kirk should sign up for the new Junior Rancher Adventure program, where they’ll get to interact with and feed the longhorns. Live long and prosper, Captain and Kirk!